The UCL Commission for Mission Oriented Innovation and Industrial Strategy (MOIIS) held its first meeting yesterday to work on directing the UK Industrial Strategy towards missions. 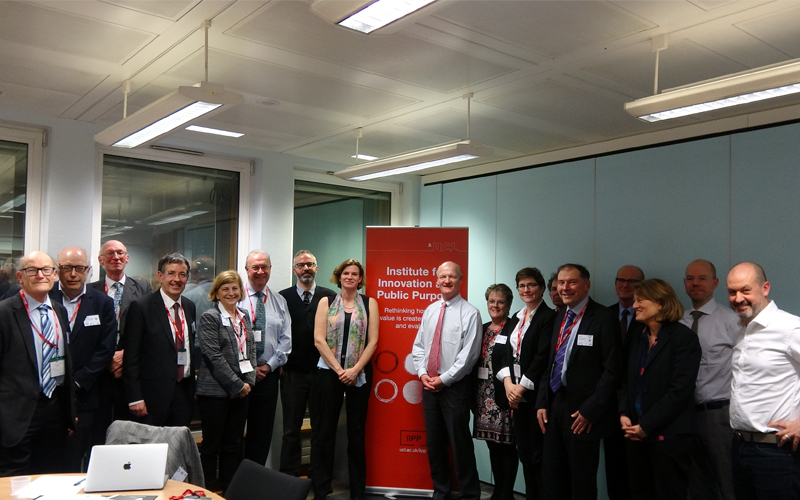 The first meeting of the new UCL-IIPP Commission was attended by Greg Clark, Secretary of State for Business, Energy and Industrial Strategy, and was held in the Department for Business, Energy and Industrial Strategy (BEIS) in Westminster. The new Commission, co-chaired by IIPP Director Mariana Mazzucato and Lord David Willets, will use mission-oriented thinking to transform the Grand Challenges outlined in the UK Industrial Strategy into tangible 'missions'. The Grand Challenges (AI, mobility, ageing & clean growth) are a key part of the November 2017 White Paper on Industrial Strategy published by BEIS, which references the first IIPP Working Paper Mission-Oriented Innovation Policy: Challenges and Opportunities on ways to tackle the Grand Challenges. IIPP's mission-oriented approach to innovation can be seen in our research on mission-oriented innovation policy and its influence is evident in our collaborations with the UN Sustainable Development Solutions Network and the RSA. IIPP's Mission Oriented Innovation Network (MOIN), which will lead global policy-making institutions in creating a new policy making framework, will launch on Monday 12th March. A framework for how to transform grand challenges into missions was outlined by Mariana Mazzucato in the recently published report for the European Commission Mission-oriented research & innovation in the European Union. The Commission is a collaboration between key UCL academics and industry experts from cross-disciplinary institutions.